Does anyone else have a hard time getting going on workday mornings or is that just me? I work in the coffee industry and therefore usually don’t make coffee at home, but I need something before interacting with people in a more acceptable and civil manner. This granola helps as a “band-aid” until I get the real stuff. If you haven’t noticed yet, I love pistachios…and pistachios with orange…and cardamom…and coffee. Don’t discriminate, we all have our “things”. This granola reminds me of the age-old flavors of Turkish coffee thanks to the cardamom and coffee. I used fresh, locally roasted coffee beans, naturally, and fresh orange zest for a pop of flavors that you simply cannot miss. 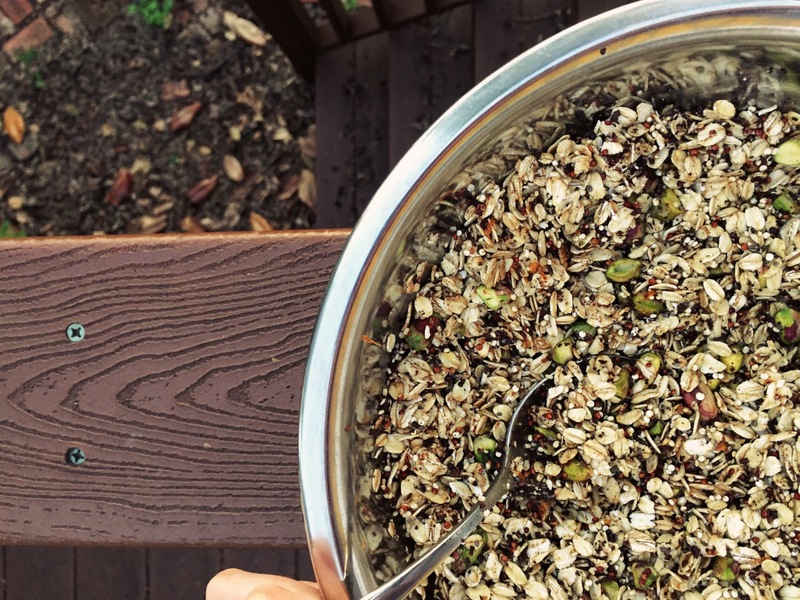 Add some buttery, toasted pistachios and you’ve got yourself some Turk-ish Granola. 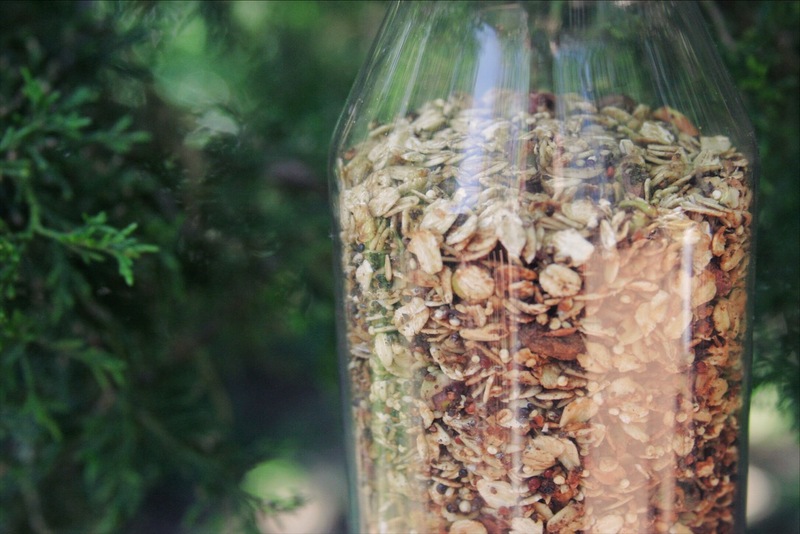 Granola is so easy to make, customize and enjoy. (It’s also pretty to look at). Not just for yogurt anymore, but for pancakes and waffles, toast and sliced bananas and on top of a spoon of almond or peanut butter (drool). Also enjoyed on it’s own with any milk of your choice or with coffee milk*. Yes, it’s fantastic. I thought of it, tried it, haven’t looked back. I enjoy it greatly on my griddled bread with a quick fruit compote and whipped yogurt, recipe coming soon! 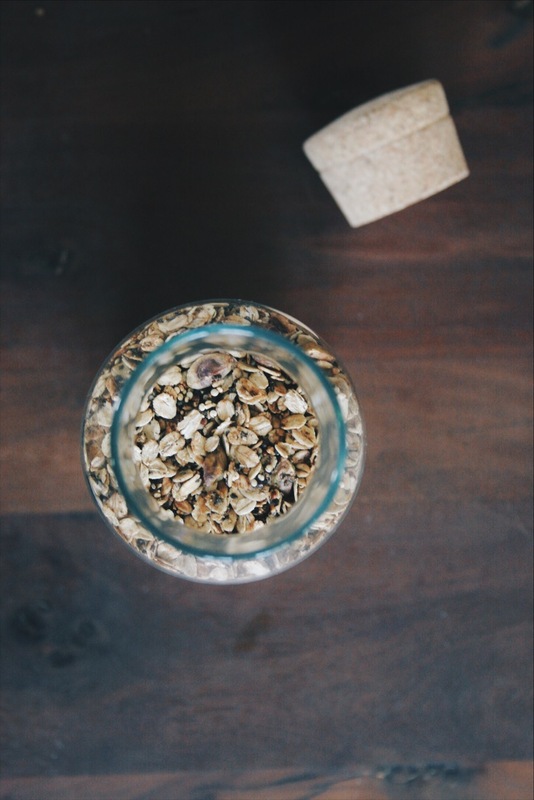 Prepare flax “egg” by combining the flax meal and warm water. Let sit on the counter for 10 minutes. Meanwhile, mix the dry ingredients and orange zest in a medium sized bowl. In a separate small bowl add vanilla, oil, honey and flax “egg”. Pour wet mix in to the dry mix and combine well, until everything is evenly coated. Spread out on a baking sheet in a thin layer and bake for 20 minutes, stirring frequently. Granola should be golden brown and the aroma should fill your kitchen (and make you happy). Cool completely before storing in an airtight container. Keeps up to 3 months – but will most likely be eaten up within a week if you’re like me and like to put tasty granola on everything. That’s all there is to it. And I know mornings get a bad wrap, but they’re not so bad. They’re actually quite enjoyable if you figure out how to deal with them ahead of time just like in-laws, jury duty, the DMV. You catch my drift.